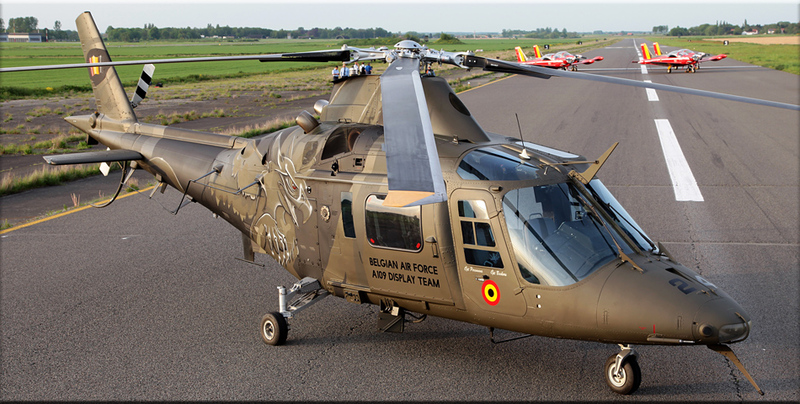 The 2015 airshow season is starting, and so the Belgian Air Force (BAF) presented its demonstration teams for the upcoming summer. 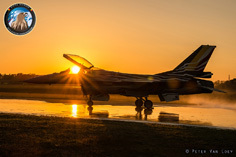 The BAF will be present all over Europe with their three teams, the F-16 Solo Display Team, the A.109 Solo Display Team and the Red Devils flying four Marchetti trainer aircraft. 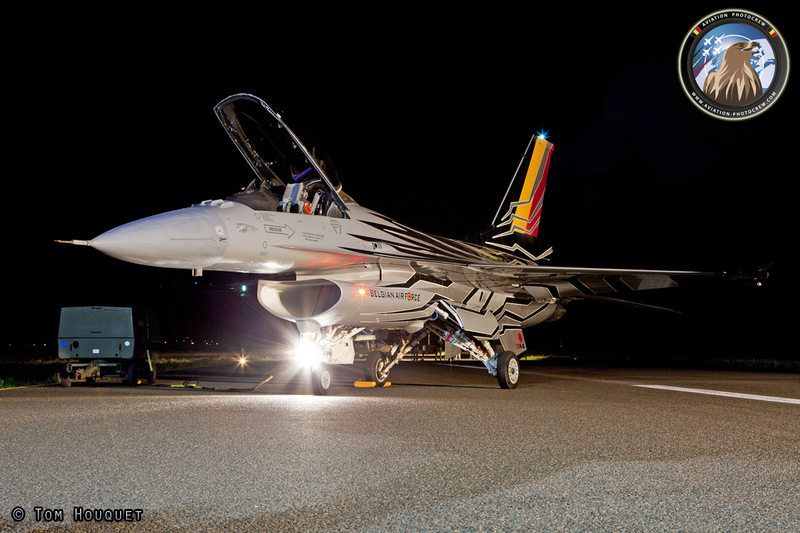 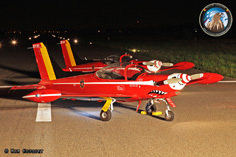 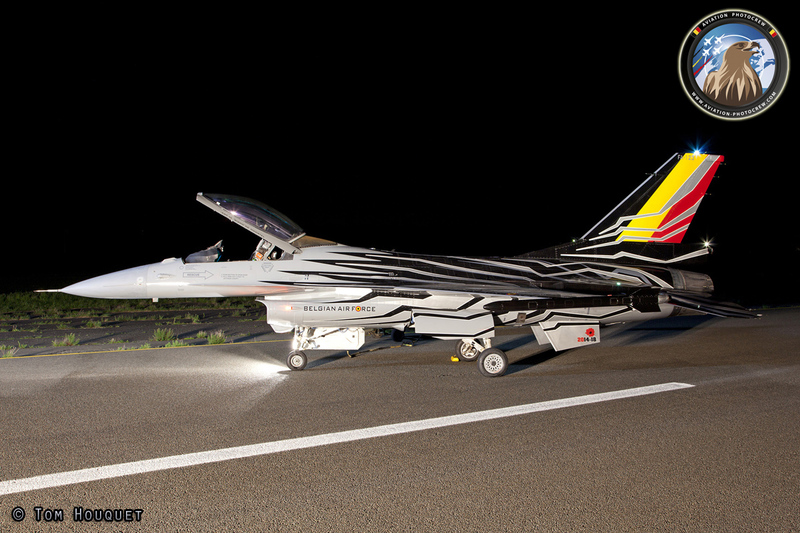 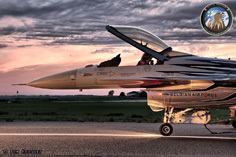 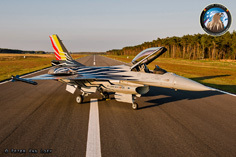 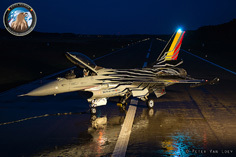 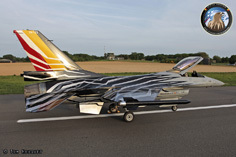 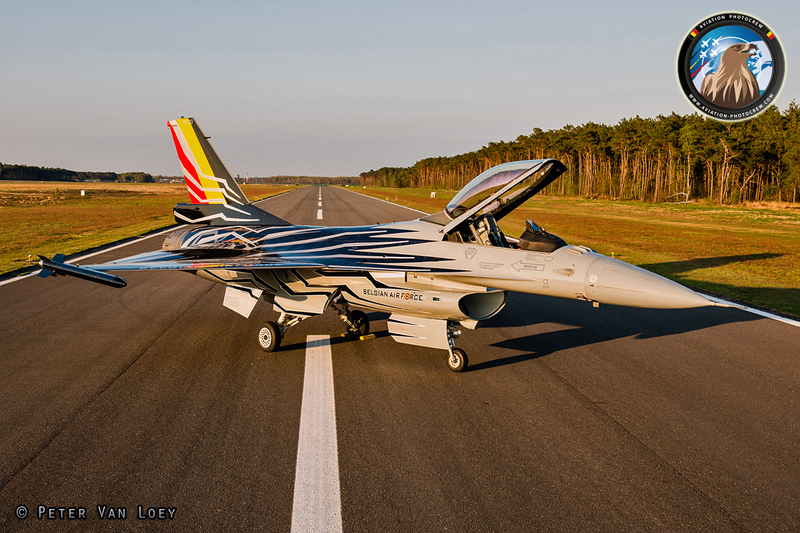 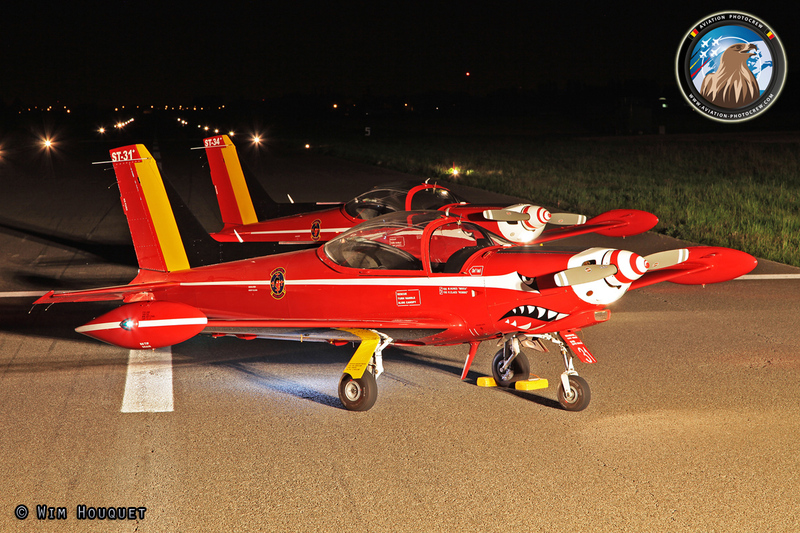 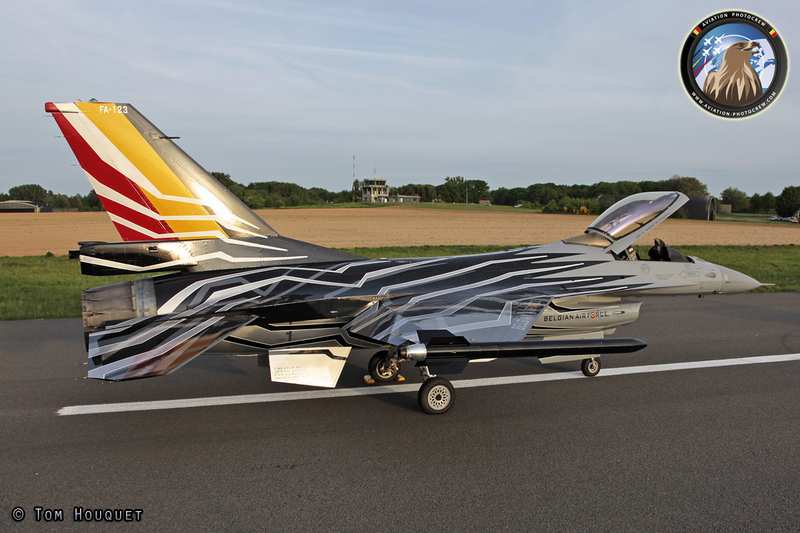 During a special evening/night photoshoot the specially painted aircraft were presented. 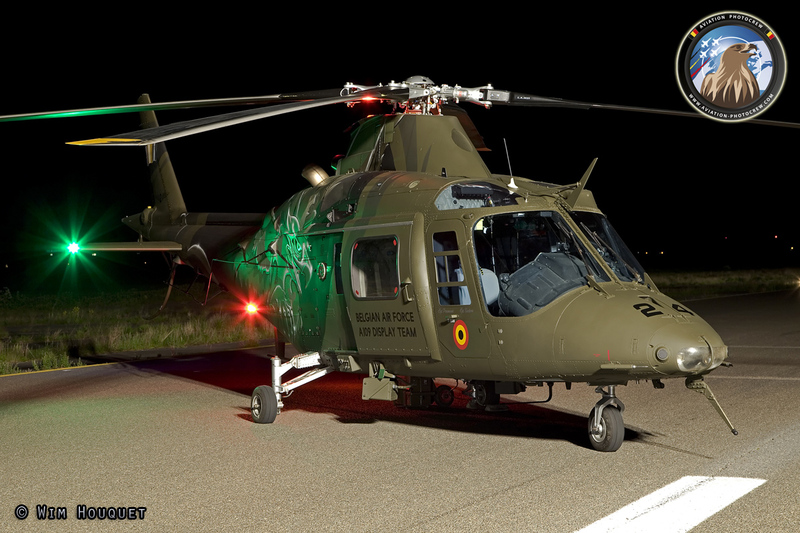 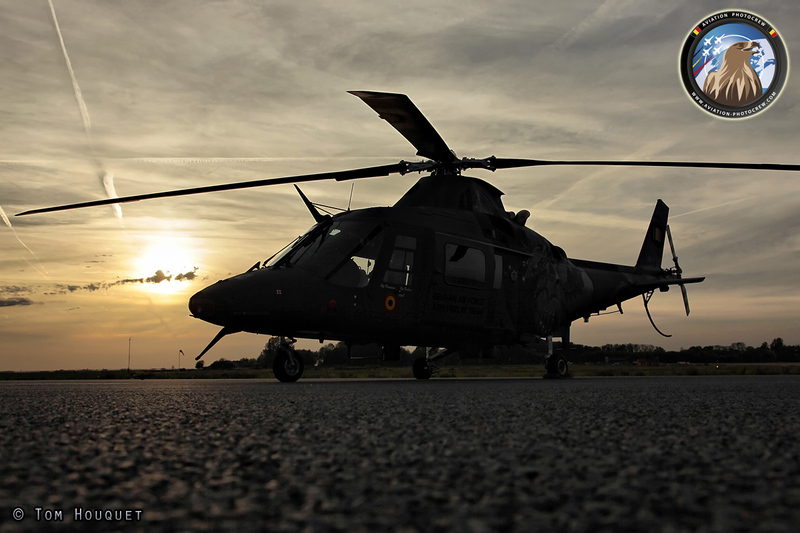 The A.109 recently received a new paintjob sporting the Griffon on both sides of the Helicopter. 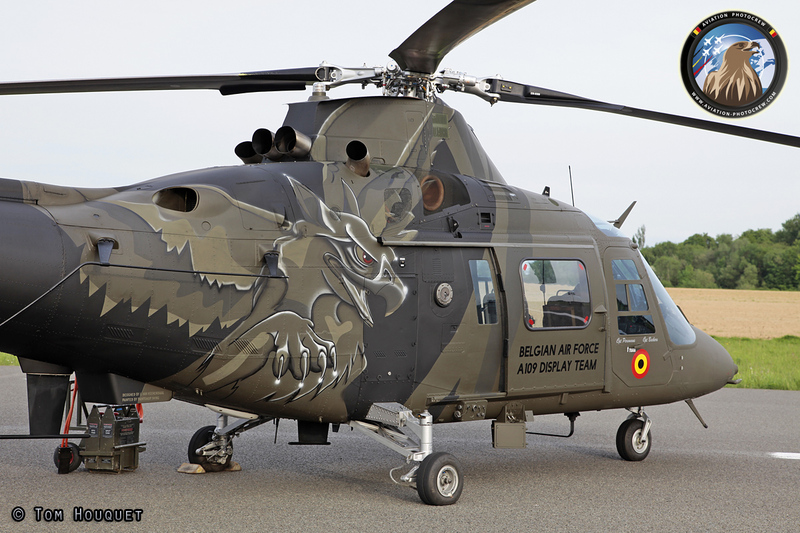 The griffon is the mascot of the 17th MRH Squadron which operates the A.109 Agusta Helicopter. 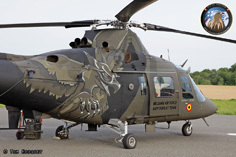 This season the Agusta will be flown by Capt. 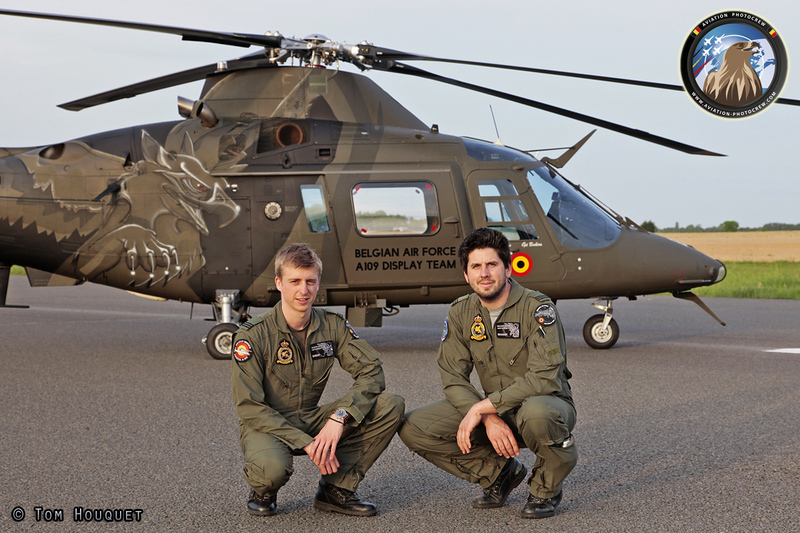 Filip "Shaggy" Peremans and Capt. 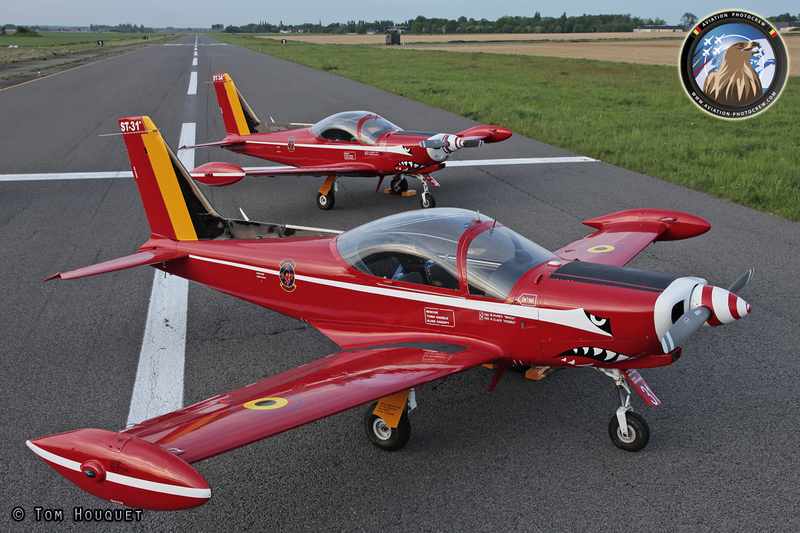 Kevin "Que20" Beckers. 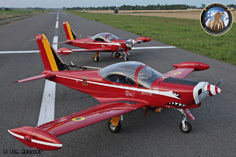 The Red Devils carry on a rich historical tradition as the Belgian Formation Display Team. 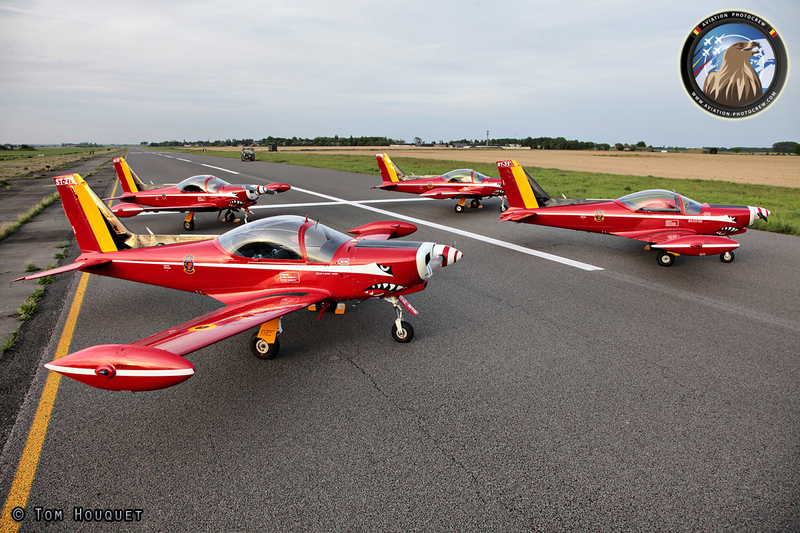 Today they fly four Marchetti trainer aircraft painted in the same red colors with the Belgian tricolor on the tail and bottom side of the wings, as the famous Fouga Magisters used to were. 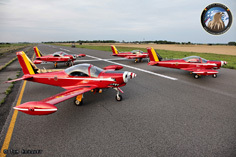 The team flies a series of four-ship formation aerobatics, and some solo aerobatics showcasing the maneuverability of the Marchetti. 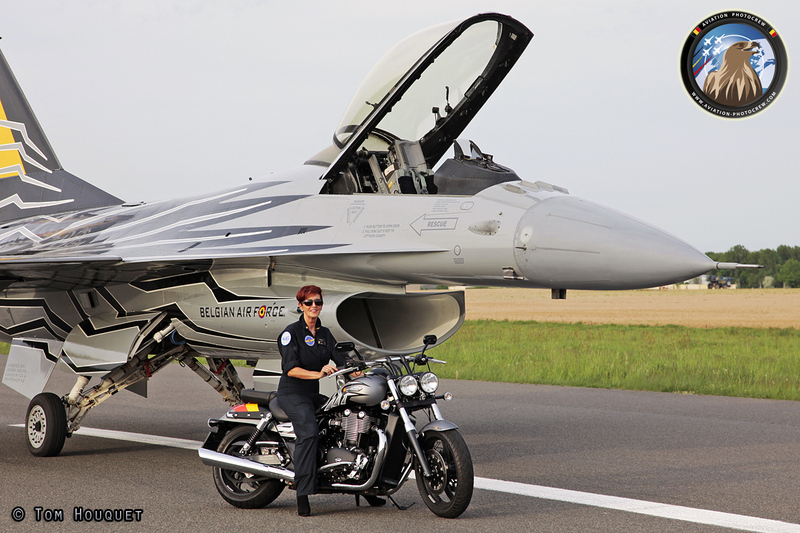 The 2015 team pilots are Capt. 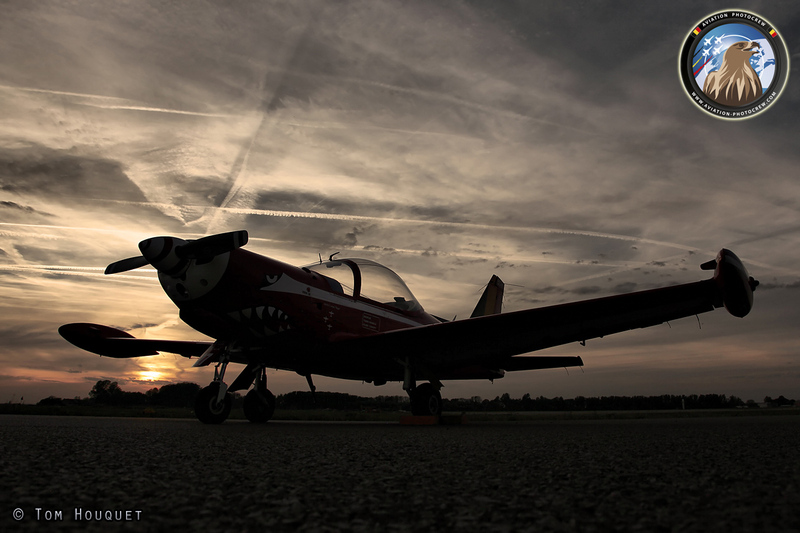 Paul “Paolo” Leys, Capt. 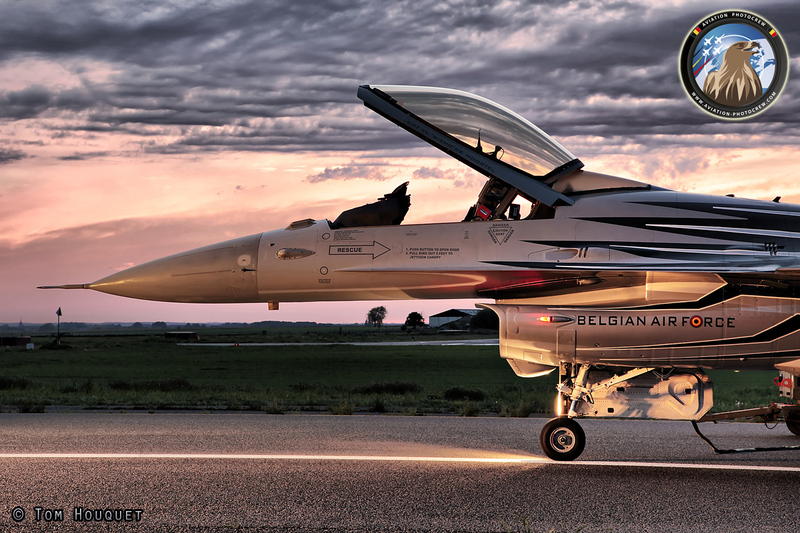 Davy “Daffy” Vanhaeren, Capt. 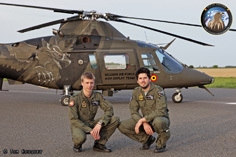 Corentin “Regio” Leveau and Capt. Alain “Papy” Collard. 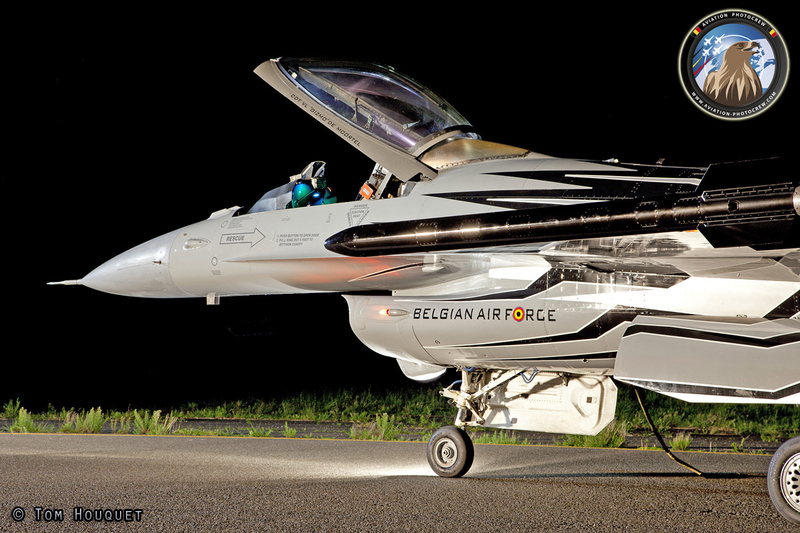 The Belgian F-16 Display Team has always been a highlight at European Airshows, and this tradition is kept on. For the upcoming season display pilot Cdt. Tom “Gizmo” De Moortel will represent the Belgian Air Force all over Europe. 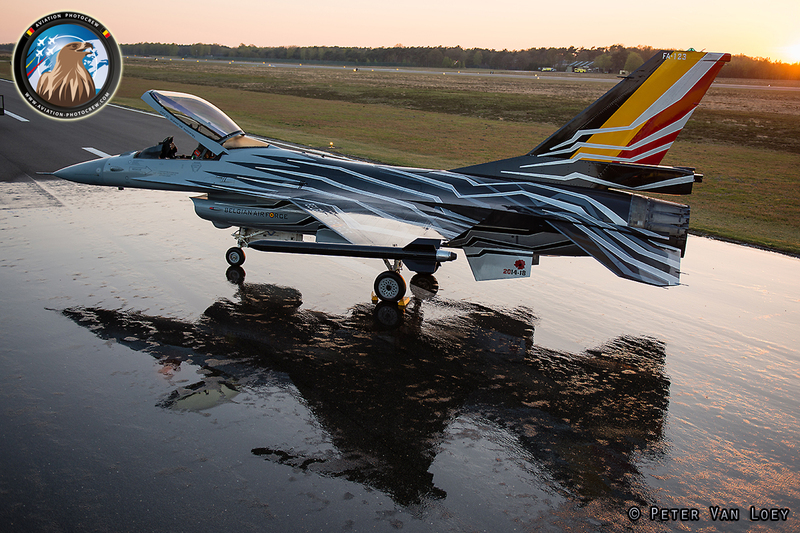 To enhance the presentation, the display aircraft received a striking new color scheme called “blizzard”.